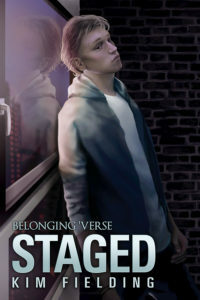 Staged is available now for preorder! This is in the Belonging ‘Verse, but can easily be read as a standalone. It releases July 18.
the lovely cover is by Tami Santarossa. One of the dangers of writing is getting lost in research. Because I am a geek and I do love doing research. 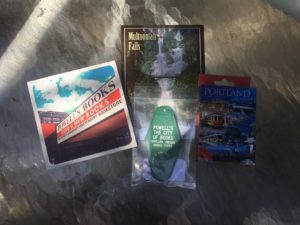 Today for my WIP I was looking up some stuff about Northwest Portland in the 1960s. It’s only a very minor plot point, actually, but I like to be accurate. I discovered the city has a great blog of vintage photos. You can check it out here. Yep, same building, 99 years later. I took the picture because Colin, one of the MCs in my WIP, lives in a Pearl District loft. I thought this building (which is actually a parking garage) looked exactly like what I imagined for him. So here’s the mystery part. 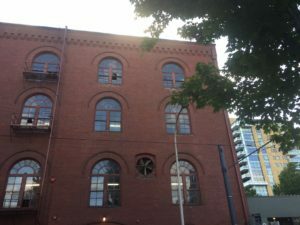 The Vintage Portland post claims that the top floor was removed from the building at some point after 1917. But I don’t see that–it looks to me like it’s intact. But my photo’s not the greatest and I’m now 700 miles away, so I can’t check for myself. What do you think? If you’re nearby and want to check it out in person, it’s at NW 12th & Davis–conveniently close to Powell’s Books. And yeah, the solution to the mystery is irrelevant to my book. But it’s bugging me. 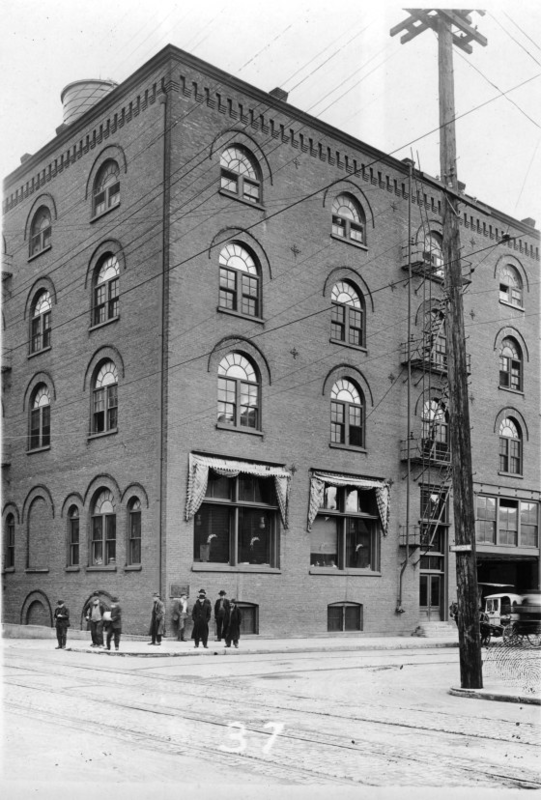 PS–Notice how there’s a thumbprint near the bottom right of the 1917 photo! I wonder whose. That’s another mystery! ETA: I’ve solved the mystery! Can you? Hint: I used Google maps. When I was 20 years old, a man pointed a gun at me. At the time, I was working at a little deli to help pay my college expenses. It was a Saturday and I was there alone. A man walked in, pretended to read the menu for a moment, and then pulled out a handgun and aimed it at me. I tend to remain calm in emergencies, so I kept my head while I cleaned out the till (maybe $200 total) and handed the cash to him, and then while, at his orders, I yanked the phone from the wall. I don’t even remember feeling terrified. In fact, I was thinking about a psychology class I was taking at the time, where we were learning about weapon focus–the tendency for witnesses to focus on a weapon rather than descriptive aspects of the perpetrator. I focused on the weapon too. After he left, I calmly went to the store next door and called the police. In the years since, I’ve thought about this incident a lot. About how easy it was for this stranger to nearly end my life over a couple hundred bucks. About how much I would have missed if I’d died at 20. About how the police made only a half-hearted attempt to investigate because, hey, nobody got hurt, and crimes like this one happen all the time in the US. About how it isn’t right that I couldn’t safely work at my crappy minimum wage job. I thought about that incident yesterday too, when the news hit me about the terrible events in Orlando (I was on the road this weekend, so the news hit me late). I wasn’t targeted because of who I was or because of the perp’s ideology–I was just a kid alone in a place with handy cash, and he wanted his hands on that money. Nothing about me mattered to him. Over the weekend, dozens of human beings died and dozens more were hurt because they meant less to one man than his own twisted beliefs, and because he had access to weapons of mass destruction. So many lives shattered, so much promise destroyed. Victims who didn’t have safety even in a simple attempt to spend a Saturday night having fun with friends. I wish for the survivors and for the families involved the hope of finding eventual peace in this great loss. And for all of us, I wish for the courage to take real, meaningful steps to ensure that fewer human beings lose everything to men with guns. Love Can’t Conquer is here! Giveaway! 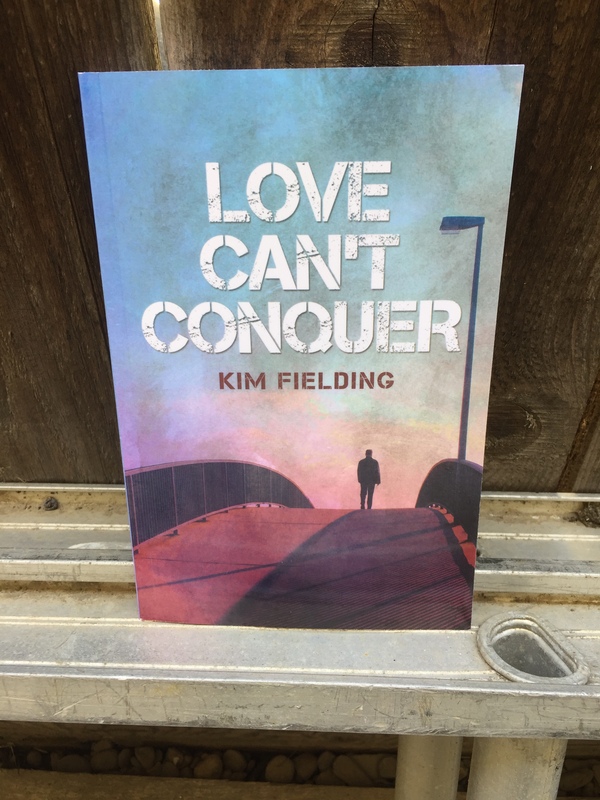 I’m excited to announce that Love Can’t Conquer is now available! I have a couple of things going on to celebrate. There’s a blog tour with a giveaway. That’s a ceramic Powell’s Books coaster, a Powell’s keychain, a deck of Portland playing cards, and a postcard from Multnomah Falls, where a scene in the book takes place. What are your summer plans? A lot of reading?